Bird Sighting – Red Knots are Back! Thank you to Patricia Schaefer for submitting her sighting of 20 Red Knots on January 31, 2016 at approximately 3:00 pm on North Beach between the old inlet and the new inlet on the ocean side. This particular bird had a green leg tag with number 25P on his left leg. Patricia reported it to the Bird Banding Lab with the USGS. Let us know if you see any interesting bird sightings on Seabrook Island by using this form. Author sibirdersPosted on February 3, 2016 Categories Sightings2 Comments on Bird Sighting – Red Knots are Back! In 2012 I took the Master Naturalist course offered by Charleston County Parks and Recreation. As part of the curriculum, we spent a day at the Center for Birds of Prey in Awendaw. I immediately knew I wanted to volunteer with this incredible organization, but doing what, I had no idea. It just so happened that the following week the Center was offering a training workshop for injured bird transporters. I signed up, learned the job, and right away received my first call – to pick up an abandoned juvenile hawk. It was treated, cared for until it grew up, and released. I was hooked! Each year the avian medical clinic at the Center for Birds of Prey receives about 600 sick, injured or abandoned raptors, as well as vultures and shorebirds for treatment. Without volunteers to bring these birds to the clinic, the vast majority would die in the wild. Some issues appear seasonally. In the spring owlets can fall from their nests and need to be re-nested. In early fall some juvenile pelicans haven’t mastered the art of fishing for themselves and are spotted on a beach unable to fly in their weakened state. And of course, there are birds that need assistance at any time. I can tell you, there’s no bigger thrill than capturing an owl, hawk, pelican, great blue heron, and even an eagle, and then getting them to the Center for help. One of my most rewarding calls came from a construction worker on Kiawah. A tiny, baby screech owl had fallen from its nest, high up a tree. With the help of Kiawah naturalist Liz King and a donated cherry picker, the baby was placed back in the nest. Success! Well, the next morning I got another call – the baby was back on the ground, seemingly uninjured. This time, Debbie Mauney, the clinic’s medical director, advised me to bring the owlet in. For some reason, Mom was pushing the little guy out of the nest. The owlet was put in an enclosure at the Center, complete with foster parents and their offspring who helped it recuperate and grow. A few weeks later, the owlet was ready to be released, and I brought it home to Kiawah. A crowd of delighted onlookers cheered when it flew out of its carrier and back into nature at Night Heron Park. The job can be far less dramatic yet just as important. Often someone else has already captured a weakened bird in Beaufort or Hilton Head. My job is simply being available to act as part of a tag team with another transporter, who passes off the bird to me in Ravenel. I then drive it the rest of the way to Awendaw. Not all calls have a happy ending. Despite your best efforts, some birds don’t make it but your reward is knowing that you’ve given the bird every chance to survive without suffering. Believe it or not, I am the only volunteer transporter for this entire area, which includes Johns, Seabrook, Kiawah, Wadmalaw, and Edisto islands. I could sure use some help! No, you don’t have to be a Master Naturalist to be an injured bird transporter. You just have to love birds and be willing to donate a few hours of your time and miles on your car when a bird needs your help. If you live at Seabrook only part of the year, consider volunteering when you’re here. I can tell you, there’s nothing like the up-close and personal experience you get when rescuing a bird. The photos will attest to that. The Center for Birds of Prey will be holding a training session for new injured bird transporters this spring. Might I see you there? If this sounds like something you’re interested in, I’d be happy to discuss it further with you. You can reach me at 843-768-2346 or loriporwoll@yahoo.com. On Tuesday, February 9, from 8:30 to 10:00 am, join Charleston County Parks & Recreation Commission (CCPR) birding experts to explore the wonderfully diverse opposite ends of Folly Beach. You will see a variety of coastal birds. Help experienced birders scan the ocean for a variety of ducks, seabirds, and shorebirds and learn how to spot ‘bunches’ of Red Knots, “rafts” of scoters, and much more. Register for the class using the link below. Ages 12 & up. A chaperone is required for participants ages 15 and under. Park fees, operating schedules, and hours are subject to change without notice. This was the first meeting of those who had expressed an interest in birding on Seabrook Island. Originally 78 persons had signed up and nine (Charley Moore, Nancy Brown, Flo Foley, Marcia Hider, George Haskins, Donna Lawrence, Lyn Magee, Dean Morr, and Judy Morr) had volunteered to initiate the organization. Those organizational meetings were in November, December, and January and culminated in this initial gathering of the interested parties. Registration of attendees started at 6:45 PM. It took 45 minutes to process those who opted to pay the $10 annual membership fee and receive their membership cards. According to Marcia, the paid up membership now stands at 99 — many of whom were not on the original list. Attendees filled the Live Oak Room at the Lake House — attendance was counted as 102. The turnout exceeded expectations of most of the organizers. Refreshments were provided under the guidance of Donna Lawrence. More than 100 people attended the first SIB meeting! Nancy Brown demonstrated the SIB communications options which she has already established for the benefit of our members as well as some indication of additional enhancements. There are user friendly ways for members to know what activities in bird watching are scheduled, how to arrange other birding expeditions, what birds are being seen on the Island and in the vicinity, and what links are available to enhance each member’s birding experience. Flo Foley provided a brief summary of projected activities for the membership and particularly focused on the Great Backyard Bird Count (GBBC) taking place February 12-15, 2016. SIB members are invited to meet on February 14th at 8:30 AM, at the Lake House, for a guided walk around Palmetto Lake to participate in the Count. More information about the GBBC may be found on our website. Dean Morr reported on 2015 bluebird monitoring. There are 75 bird nesting boxes on four trails around the golf douses and the Lake House which are monitored as to occupancy by a group of volunteers. While the emphasis is on observing Eastern Bluebirds, they found Carolina Chickadees were the early occupants in 39 boxes and 102 young ones were fledged. During the season, 76 bluebird nests were noted (numbers do not add because some boxes were used more than once) and 259 birds were fledged. They are nice additions to our local wildlife. Three persons in the audience were recognized as representatives of other related organizations. Valerie Doane, of the SI Photography Club, offered our membership the opportunity to participate with them in learning about photographing birds. Lori Porwoll is a volunteer with the Birds of Prey facility as a transporter of injured birds to their clinic and she invited persons to join her in that effort. David Gardner, Program Director at St. Christopher and an ardent birder, invited members to visit their office for guidance in the use of their property for birding while not interfering with their programs. In an effort to define interest, Charley Moore asked for a show of member interest in a proposed SIB program by the Birds of Prey personnel, with a live bird demonstration, which would likely require a participation fee of $5-10 to cover the cost. There was a favorable response. This will be pursued as the subject of the April program. It was moved, seconded, and approved that the slate be elected. Six door prizes (three bags from WBU, two framed bird prints, and a bird book) were awarded in a random drawing. The program concluded about 9 PM. 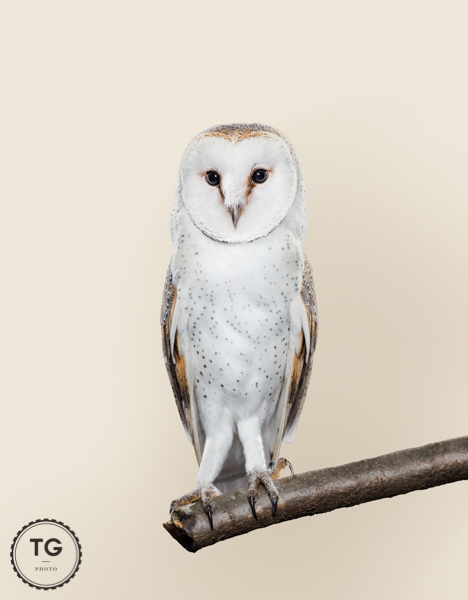 I just spoke to the Center for Birds of Prey and they have six (6) seats left of the 25 total in this exciting photography workshop with Guest Artist Taylor Glenn on Monday February 15, 2016. See below for details – Call today if you want to register before the seats are gone! Note: They will take an unlimited number of observers. ANNOUNCING – Limited number of tickets available! We’re excited to have one of the Southeastern Wildlife Exposition’s featured artists as curator for our first Photography Day of 2016. Taylor Glenn is a photographer specializing in outdoor lifestyle and nature imagery. 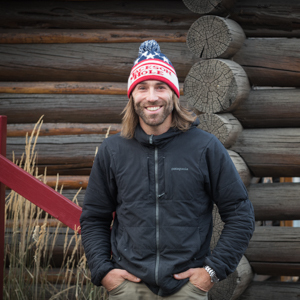 He is a resident of Jackson Hole, Wyoming and travels extensively for his work. Glenn’s photos have appeared in American Photography’s 30th and 31st editions and fine publications including Covey Rise, Outside Magazine, Sunset Magazine, the Wall Street Journal, and Wired Magazine. technical areas including equipment choice, and managing distance, light and subject movement. This event will take place on the Monday following SEWE,from 8:30am to 11:30am and advance registration is required. Tickets are $45 per photographer and can be purchased online or by calling the Center’s office at 843.971.7474. As was announced during our kick off meeting of the Seabrook Island Birders (SIB) on January 20, 2016, all SIB members will receive a discount at the West Ashley, SC location of Wild Birds Unlimited! See below for more information.